This one was very interesting for my child. She took time to understand my gestures as I was showing what half really means, but, once she could catch up to it, she answered all my twisted questions about what half is quite correctly. 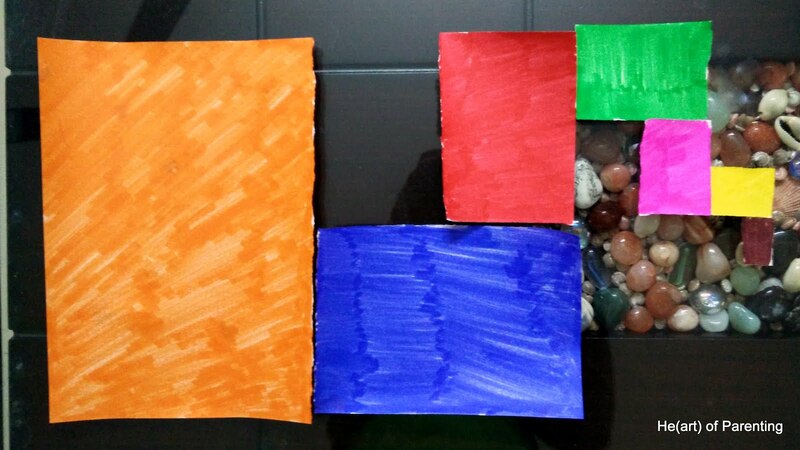 I made the following pieces of rectangles, by using A4 sheet and different colours for each of it. 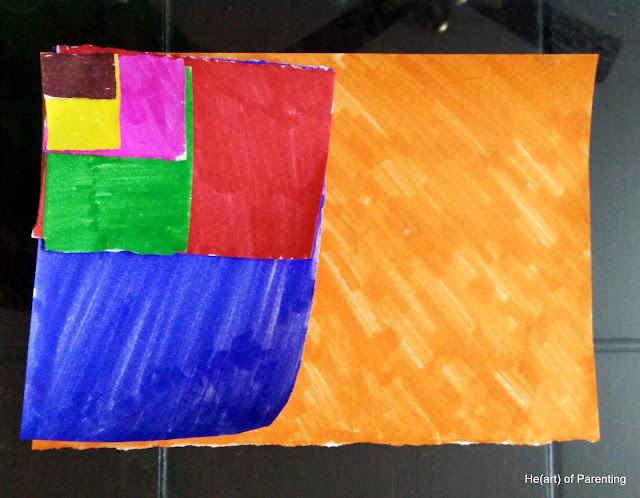 Second step is to show another A4 cut into same number of pieces but with no colour so that she can relate to the concept of half without colour differentiation. Obviously, kids will recognise them as well. It is never too early for the kids to learn new concepts and it is never too late for us to learn new ideas. 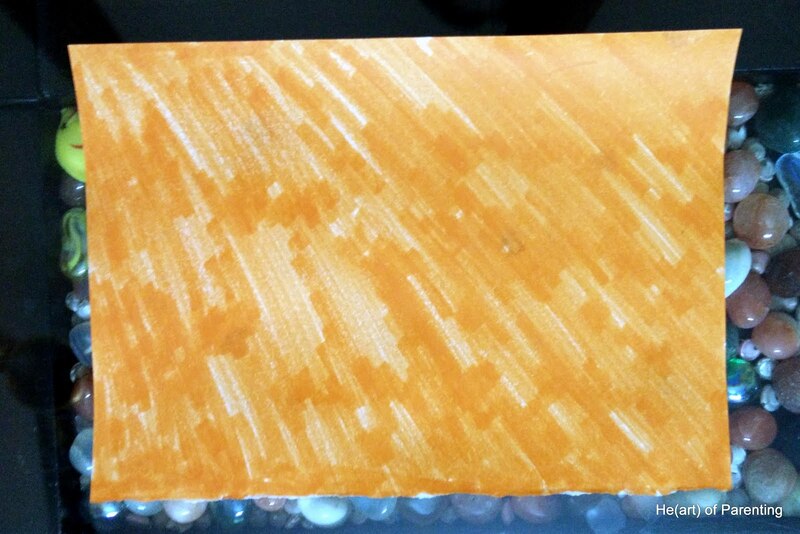 You could also paste these cut papers on cardboard for preserving them better.